When it comes to social media vs. print media, you don’t have to choose. They actually work well together, if done correctly. 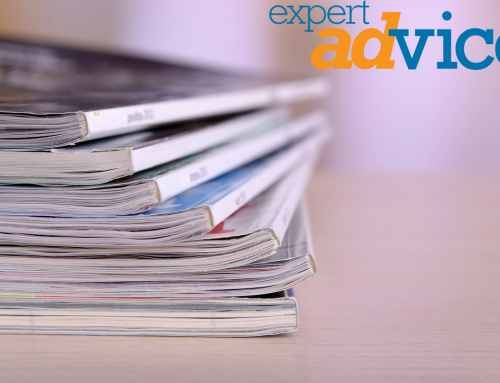 In fact, a recent study by Millward Brown Digital showed that advertising in print in combination with online had a 10% increase in average brand awareness and favorability, as well as an 11% increase in purchase intent. Coordinating your print media and your social media takes a bit of planning, but following these 5 easy steps will increase your brand awareness by utilizing the best of both channels. Understand your sales funnel. Both print and social media marketing are at the top the sales funnel: They are awareness-marketing channels. Most people will not make a buying decision after seeing just one advertisement. However, if they see your message in print, and also in their social media channels, it increases their awareness of your brand and increases the likelihood of them choosing your product or service. Use consistent messaging. Use the same imagery, wording, and graphic treatments for continuity of your brand’s message. If the advertisements are viewed side by side, your print and social media ads should visually match. The readers should know in an instant that both are from the same company. Just like recognizing a company logo once you’ve seen it before, when the social media ad looks like the print ad, it’s more likely to be clicked on, especially if they see “social proof” that their friends and family interact with your brand on social media. Choose your media wisely. It is important to make sure your campaign is placed so it reaches your target audience’s demographic. If your customers are corporate executives and your print advertisements are running in publications like Johns Hopkins Magazine or Business Week, then your social efforts should be focused on LinkedIn, not Snapchat. You can also target your social media ads to match both demographic and psychographic information of your print media buy. For example, if you’re including Playbill, Everyman Theatre, Baltimore Center Stage, or The Lyric in your print buy, be sure to your Facebook ad targeting includes “arts & music” or “theater” audience interests. Add tracking. Remember to track both your print media and social media using custom URLs. Set up the URLs to go to a landing page offering special discounts for visitors who have seen your print ads or social media posts. You can then track your campaign all the way to the sale. Or, if discounts aren’t feasible, then offer them special content only available on those landing pages. In both cases, you can track visits to your landing page from each channel to better understand the effectiveness of your marketing spend. Let your customers know “What’s in it for me?” You’d be surprised how many companies have active social media channels, yet don’t promote them. When you are creating a print advertisement, add the logos and URLs of your preferred social media channels to the design along with a reason to follow your social media accounts. People will see your ad in print, and then like, friend, or follow you on social media to get the latest information, discounts and more. Once that happens, you can work to turn that follower into a customer and – ultimately – an advocate for your business.